The National NeedleArts Association (TNNA) recently sent a letter to members about how the U.S. Consumer Protection Safety Improvement Act (CPSIA) of October 2009 directly affects how the needlework and crafts industries sell their goods, particularly to children. I wonder that we were still able to have a Pinewood Derby in scouts this year. Ok, unfinished block of wood. But then it is carved (using tools that might contain lead) and painted (we used spray paint). We fastened the plastic wheels on with metal nails. Then we attached lead fishing weights to bring it up to 5 ounces. Did the mere presence of lead fishing weights on our car present a clear and present danger to other scouts in the room? Should our car have been sequestered and bagged as hazmat? Utterly silly law. It would be beyond contempt were it not for the legion of “advocates” and regulators who are determined that even CPSIA isn’t enough. I plan to teach my kids to knit this week, then read them bedtime stories from pre-1985 books, just as a piece of civil disobedience. Sebastian is forgetting a few things. Before you can paint the vehicle, it must first be sanded with a series of “papers” of increasing fineness. Each different grade of sandpaper must also be checked for the glue, the backing paper (or cloth), and of course the grit itself, which my not contain any silica or asbestos. Can we ignore the issues of the aerosol wood and grit particles caused by the action of sanding itself? Children engaged in the activity of “sanding — see earlier mention of silica policies” should of course be wearing full hazmat suits. BTW has the air filtering apparatus in the hazmat suit been checked for lead? Are the zippers or other closure mechanisms also lead free? And how does Sebastian propose to attach the hazardous lead weights — perhaps by using a nice lead containing brass screw? And what is the age of the track used for the event itself? Any indication of wear of the track paint surely shows that just running the event causes particulate emissions from this wear. Certainly you can get around most of Sebastian’s concerns by not including tools, paints, or weights in the kit. My son’s Pinewood Derby car kit came with just the block of wood and the plastic wheels. Enhancements can then be sold separately, marketed to people of all ages as model car making supplies or general hardware. When CPSC announced their non-testing guidelines for textiles, I was 6 days away from closing my baby bootie business entirely. 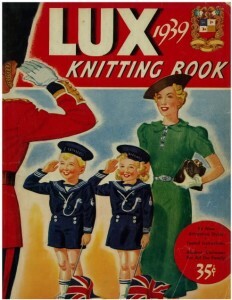 But my backup plan was to sell my patterns, which are not marketed to children and are nothing but digital information. I would expect to see a shift like that in the marketing of children’s crafts, away from kits and towards how-to books, not necessarily because of testing requirements but more because of tracking label requirements. If you have to put tracking info on the major component of, say, a needlepoint kit, and the kit is a piece of plastic canvas, several hanks of yarn, and a plastic yarn needle, where do you put the label?